I just spent the past few days assisting an artist producing a massive concrete sculpture for Public Art Fund’s upcoming exhibition. If the other projects in the show are as ambitious the one I worked on, it’s going to be very inspiring. Throughout history, art in the public realm has been a means to represent common beliefs, values, and ideals. However, in our own diverse and pluralistic society, we value art most highly as the expression of a unique personal vision. 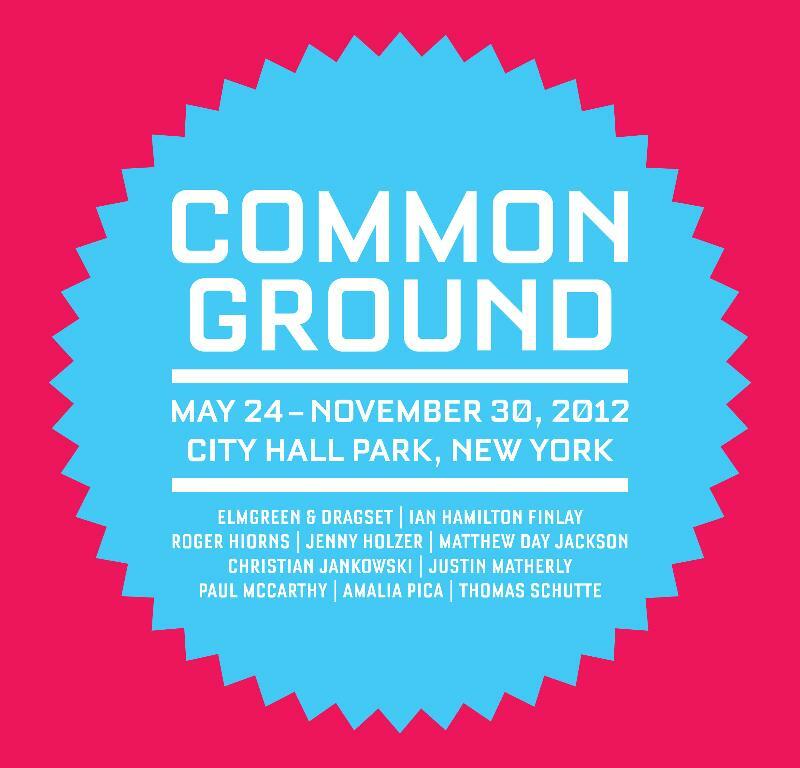 Common Ground brings together the work of an international group of contemporary artists, each with a strikingly original artistic language and a strong engagement with the civic role and context of public art. James Yamada, The summer shelter retreats darkly among the trees, 2011. Parasol unit installation view. Photo: Stephen White. Source: Parasol Unit. On 22 November 2011, Parasol unit will unveil the first artwork in its Parasolstice – Winter Light series of outdoor projects to be realised by various international artists, each of whom creates sculptural works that address the phenomenon of light. James Yamada, Our Starry Night, 2008. Photo by Seong Kwon, courtesy of the Public Art Fund.